Celebrate with Us On National Donate Life Blue & Green Day! National Blue & Green Day 2018 is Friday, April 13! 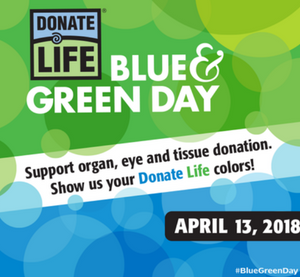 During this day, the public is encouraged to wear blue and green, hold events and fundraisers, and partner with local restaurants, malls, media, and community organizations in an effort to promote the success of organ, eye and tissue transplantation and the extreme need for registered donors. Check out some free downloadable resources from Donate Life America to help you get started. There are flyers, social media and web banners you can use. You can also refer to the National Donate Life Month page for more information. 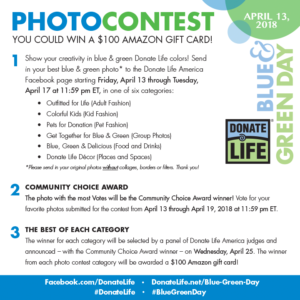 Don’t forget to show your creativity in blue & green Donate Life color and enter the Donate Life America photo contest! 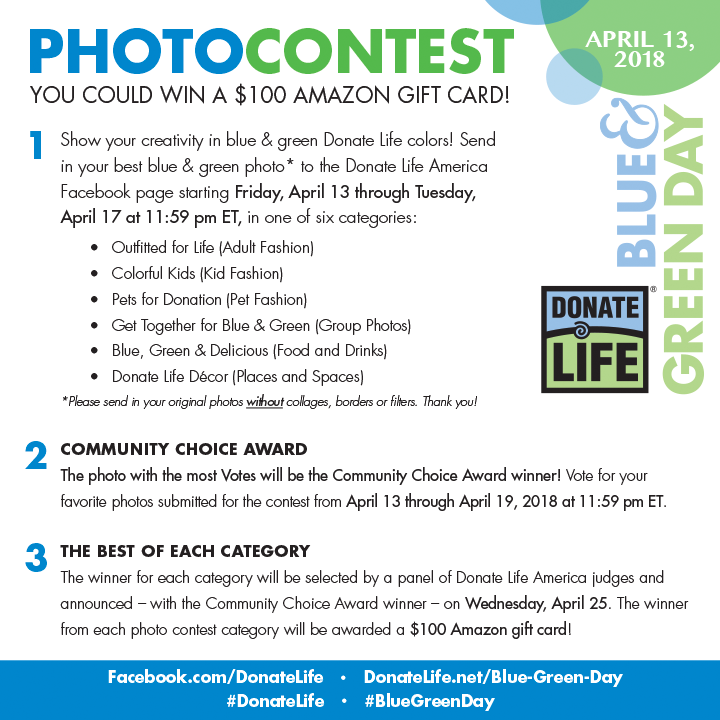 Send in your best blue & green photo* to the Donate Life America Facebook page starting Friday, April 13 through April 17 at 11:59 pm (ET), in one of six categories. Click here or see below for contest information and rules.